One of the analysis techniques that is often used during Trouble-Shooting, complex balancing or during foundation or resonance research is the so called Tracking Analysis. 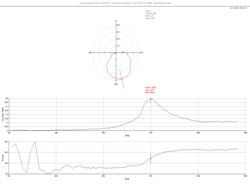 This analysis technique is especially useful for the capture of critical speeds and for determining the imbalance vibrations at different speeds. During a tracking analysis the filtered imbalance vibrations are measured in combination with a phase reference. 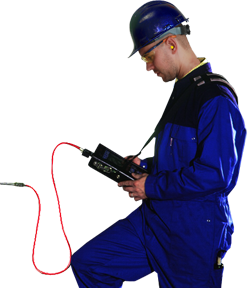 In most cases these measurements are carried out during a run-up or coast-down of the machine which automatically captures the whole working area of the machine. The phase and amplitude information that results from a correct measurement is essential during the balancing critical speed rotors. A tracking analysis can also produce very valuable information for the analysis of resonance- and foundation problems. The analysis will show at which speed a structural resonance is influencing the vibrations. An increasing problem due to the increased application of variable speed drives. With the information resulting from a tracking analysis in their mind, it is possible for the process controllers to consider the critical speeds and to avoid the problem areas as much as possible. What on its turn will prevent unnecessary high vibrations and wear.